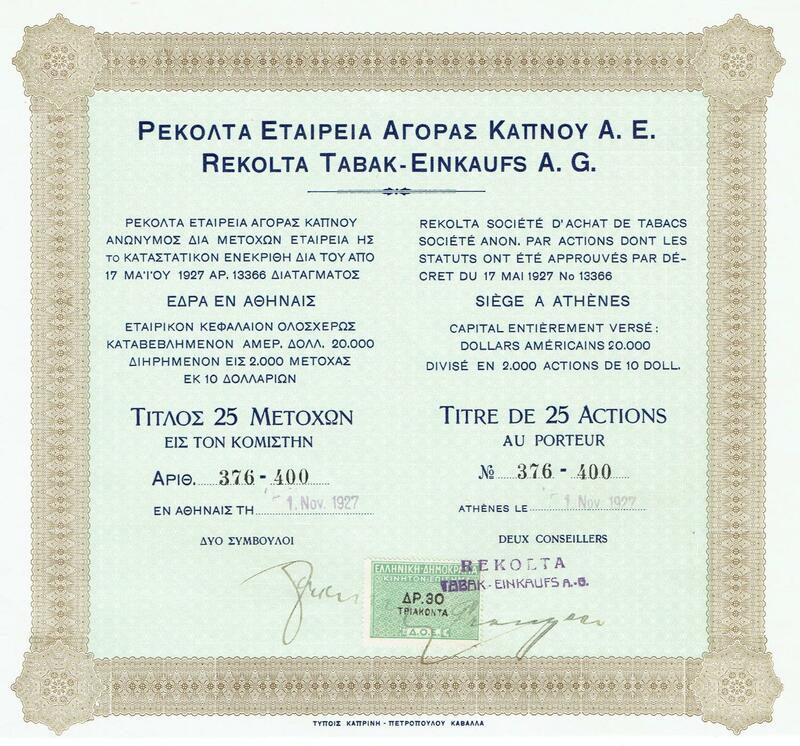 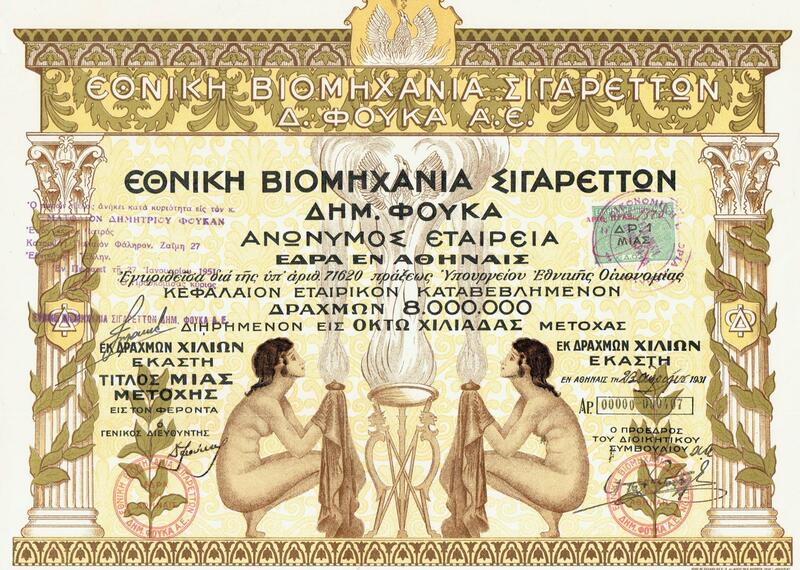 Greek Tobacco Company Karavasilis Ltd.
National Tobacco Industry Dimitrios Foukas S.A.
REKOLTA TABAK - EINKAUFS A.G.
Societe Anonyme d'Industrie de Tabac "ARCADIKI"
Action au Porteur 1 x 100 Drh. 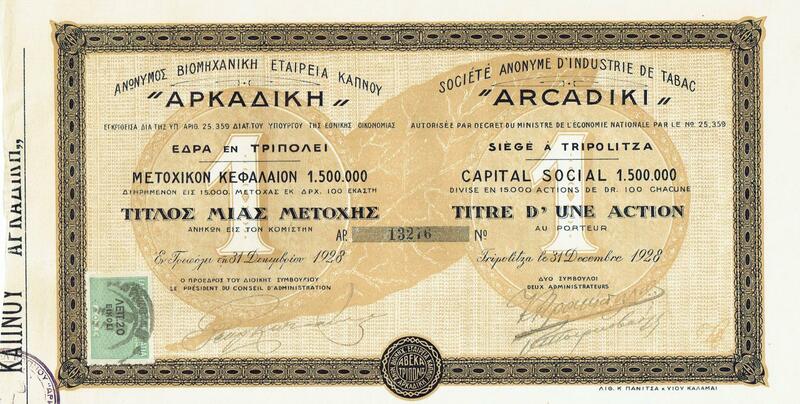 Action au Porteur 5 x 100 Drh. 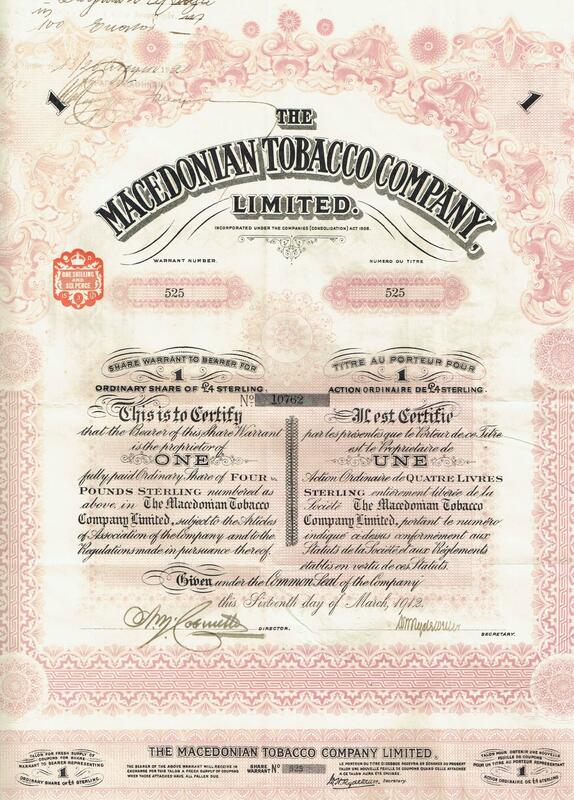 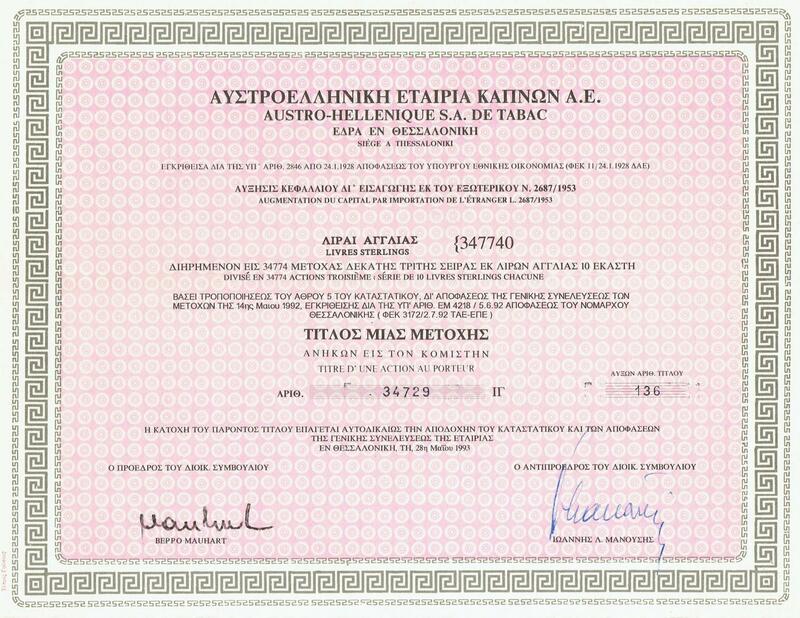 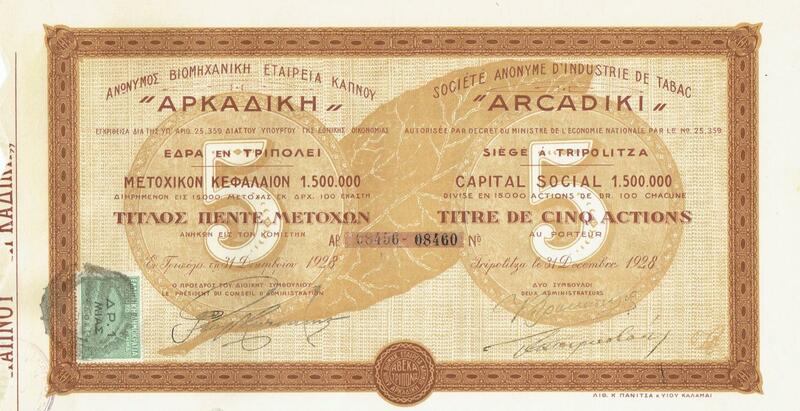 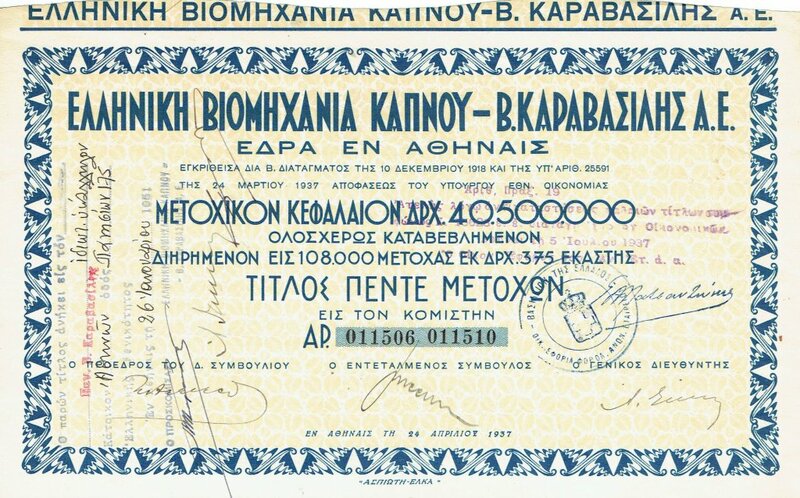 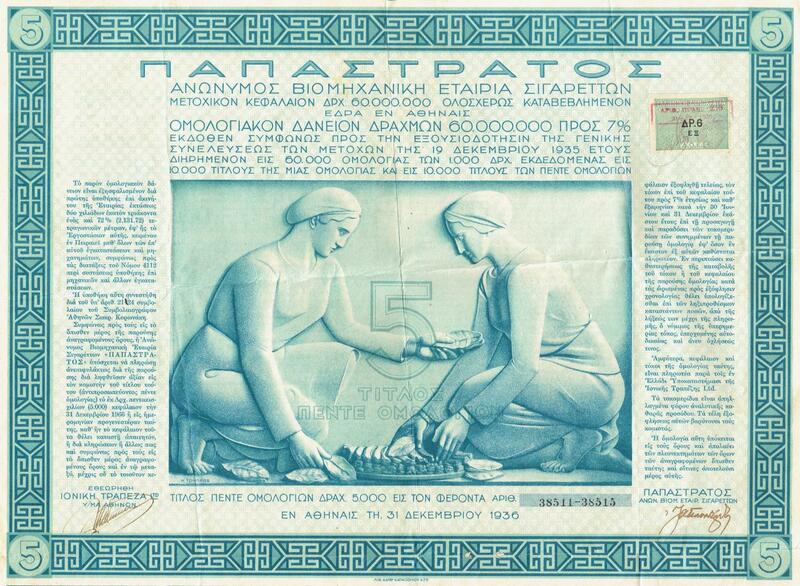 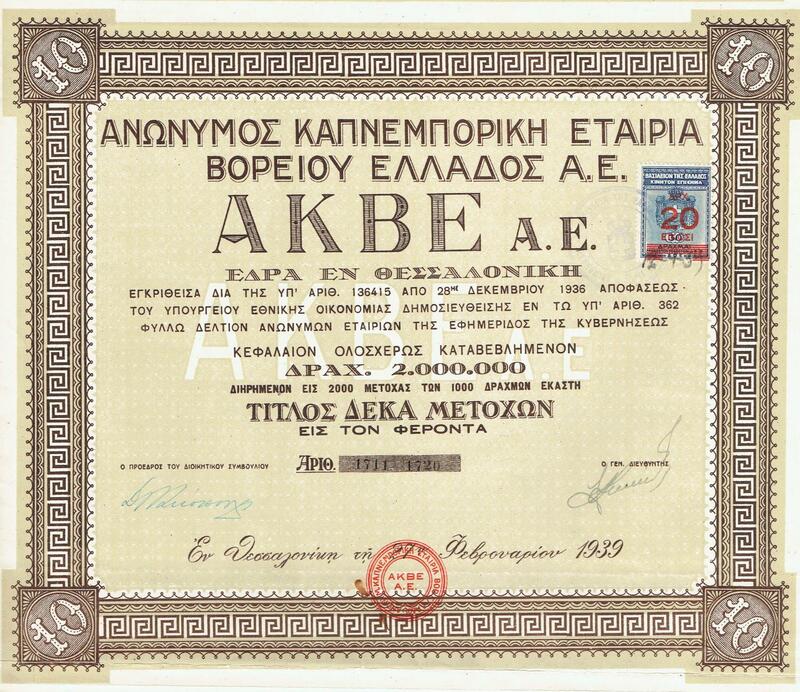 TOBACCO Ltd. of Northen Greece AKBE A.E.